Go birdwatching with a Birdingpal from Ohio. I live in flat, boring NW-West Central Ohio, but there are still some interesting places for birding in the area. I also make frequent trips to 'more exciting' parts of the state. My husband and I are avid birders and Ohio Breeding Bird atlases, living in the lovely wooded Appalachian foothills of southeast Ohio. 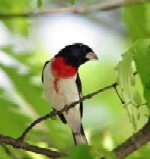 We have a number of good birding sites in the Cincinnati area. I am an Aeronautical Engineer and I grew up in Connecticut, where I began birding at age 14. I have travelled throughout the US and have an ABA area life list of 679 species. I have birded several countries in South America, Trinidad and Tobago, France and England, a bit in Kenya and Australia and Singapore/Malaysia. My ABA area life list is now up to 716 birds (currently listed as 679). Great birding all year especially the spring. I am a birdwatcher of average ability but would be excited to show someone around and do my best to find them their target species. I have 14 acres that attract a lot of great birds as well as live close to some nice parks. I am a biology professor at Wright State University and recreational birder. I bird in the Dayton, Ohio area. Local parks provide a diversity of habitats (lakes, wetlands, surrogate prairies, forests) and the birding can be quite good. We don't have any IBA's, but have woodland and agricultural areas. We have 11 county parks with wetlands, wooded areas, and prairies. There are gravel pits and peat bogs that are privately owned. We have several serious birders who are always on the lookout for the rarer species. Some found in past 3 years around Greenville were Ohio's first nesting pair of Eurasian Collared doves, Wilson's Phalarope in migrations, a nesting Bell's vireo.I am a volunteer for the Ohio Breeding Bird Atlas II that is in its third year and am a member of the Ohio Ornithological Society and our local Darke County Birders. I know many of the common bird songs and calls, but am still working on the warblers and others. I am a retired special ed. teacher and have lived in Darke County most of my life. I have traveled to 49 states and most of the Canadian provinces and several European countries. Bird in the Cuyahoga Valley and other local areas. I am a recreational birder, since 2012, primarily spotting in the Dayton area Metroparks and the Spring Valley Wildlife Preserve. I bird in Cuyahoga, Lorain, Medina, Lake and Summit County Ohio, but also take occasional trips to key hotspots in the state. I am 35 minutes east of Columbus, Ohio (CMH is the airport that you would use). Spring mirgation is the best time for Eastern Wood Warblers during the first three weeks of May roughly. I know the Cuyahoga Valley National Park. I also do bird photography. Spring Valley is located in SW Ohio, between Cincinnati and Dayton. I have been birding for about 40 years and know my area well. I am about 3 hours away from Lake Erie which has some excellent birding spots. Woodland Warblers to Grassland birds abound in this area. I have been an avid bird watcher for years (more so after retirement). I live near lake Erie and Magee Marsh and have knowledge on several locations in this area for bird watching. I have information on Warblers and other species in this area. We are located on Lake Erie 45 minutes from CLE. Ottawa NWR & Magee Marsh Wildlife area are 1 hour from our house. We are 15 minutes from Old Woman Creek Nature Preserve, several other State Nature Preserves with shorebird, waterfowl and warbler viewing are close by. Good birding in all seasons, but especially spring migration. Hi! I'm Mary Cullum. I've been birding ever since high school. I really enjoy visiting local birding ares as well as exploring new birding places wherever I travel. I'm especially interested in completing my warbler list. I have about 5 left! Since I could bird all day, I would go to whatever spots were hot depending on the time of year. A trip to Magee Marsh in the spring is a must-see! Brookville Dam after the fall drawdown is great as well! There are plenty of good birding spots around the Cincinnati area worth exploring! Of course we'd local area places to grab a bite. West side of Cleveland. Familiar with all the major hot spots in NE Ohio and along the Lake Erie shore to Toledo. 20+ years of birding experience and I'm out in the field nearly every weekend. Excellent spring and fall migration sites nearby. Nesting forest and grassland birds as well. Winter gulls in downtown Cleveland. Rich birding area. From the shores of Lake Erie to inland lakes, marshes and open farming area. We live in an area near the largest Amish enclave in the world which is a mixture of farms, small towns and hills. We are on the edges of two migration flyways so we are bird rich in the spring with ducks, geese, and wood warblers as well as many other species. 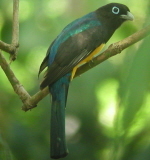 We have over 300 species of birds. I am a semi retired educator.